« Kylie Minogue vs. Melissa Benoist: Who Wore One-Sleeve Satin Dress Better? We love it when celebrities wear inexpensive dresses to red carpet events but, apparently, the feeling isn’t mutual for some actors. Taryn Manning, who got praised for wearing a $200 Adrianna Papell dress to the 2018 Screen Actors Guild Awards, was not happy when she found out that her dress was so affordable. The “Orange Is the New Black” actress told TMZ that it wasn’t cool that her 2018 SAG Awards dress was only a mere $200. The following are pictures of Taryn Manning at the 2018 SAG Awards wearing the dress in question. Taryn Manning arriving at the 2018 Screen Actors Guild Awards held at The Shrine Auditorium in Los Angeles, California, on January 21, 2018. 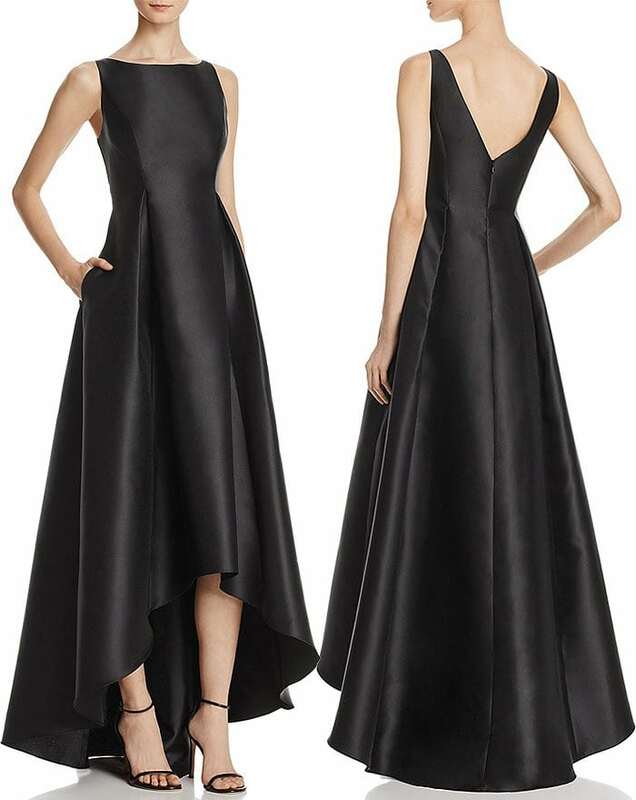 Below is the exact Adrianna Papell “Arcadia” dress that retails for $199 online. Taryn Manning has since apologized on her Instagram account for ranting to the paparazzi about her SAG Awards dress. She said she was caught off-guard when she was bombarded with press questions about the cost of her dress, and the situation made her feel used. Do you think Taryn Manning deserves better? Even if her dress was only $200, her stylist did still outfit her in thousand-dollar fine jewelry pieces and $750 “Dolce Vita” white leather ankle-strap pumps from Aquazzura. Closeup of the white Aquazzura “Dolce Vita” ankle-strap pumps on Taryn Manning. The Aquazzura “Dolce Vita” pumps come in many variations that you can shop at Bergdorf Goodman, Farfetch, Neiman Marcus, Saks Fifth Avenue and Shopbop.